Have you visited Pinterest lately? Of course you have, who hasn't???? Well, actually, I guess I have to put my hand up. Way way waaaaaaay back, last September, I actually wrote about Pinterest. It was only my third post and I was highlighting different Inspiration Boards . As infatuated as I was with Pinterest I really didn't go back to it very often. The only reason was because I couldn't install it on my main computer which uses Internet Explorer. I've been noticing Pinterest gaining in popularity lately so I figured something must've changed. And it has! You can now use it with Internet Explorer and they have all kinds of great widgety type things for you to play with. And I've gone back to some of my more popular projects and added an easy Pin It! button under the finished project images. That way you can easily add them to your boards if you want. It was a bit of a pain to go back through almost a year's worth of posts but it was fun too. And it gave me a great excuse to go back and add "alt" tags to posts. If you don't know what alt tags are you need to read this post from Kristi over at Addicted 2 Decorating . I noticed my traffic increase majorily once I started using these tags regularly. 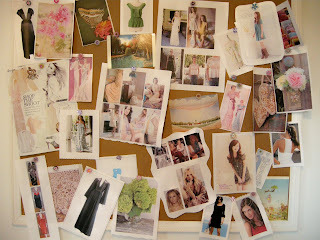 Here are some of my latest pins that I used as inspiration for last week's Vintage Inspiration post. You can check out the whole board here with more great pics and all the sources. Have a great day everyone. Happy pinning!